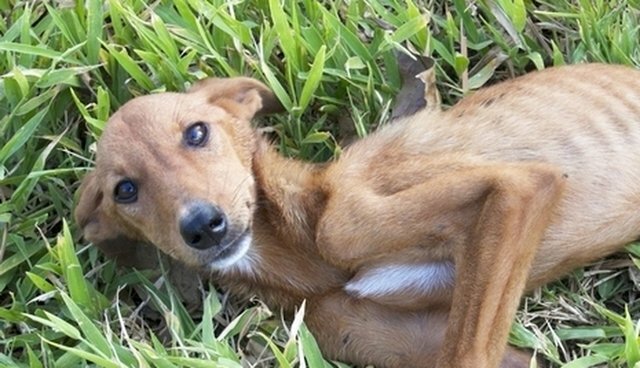 A puppy found in a grassy field in Vanuatu - the South Pacific island chain ravaged by Cyclone Pam - was one of many animals recently given a second chance for survival. Veterinarians from World Animal Protection spotted the desperately sick puppy while they were conducting animal welfare checks in the aftermath of the massive storm. The owner, who was nearby, told the vets that the puppy had eaten a poisonous fish on the beach right after Pam hit - but hadn't eaten in the 10 days since. The island has no veterinary care, so the owner didn't know how to help his dog. 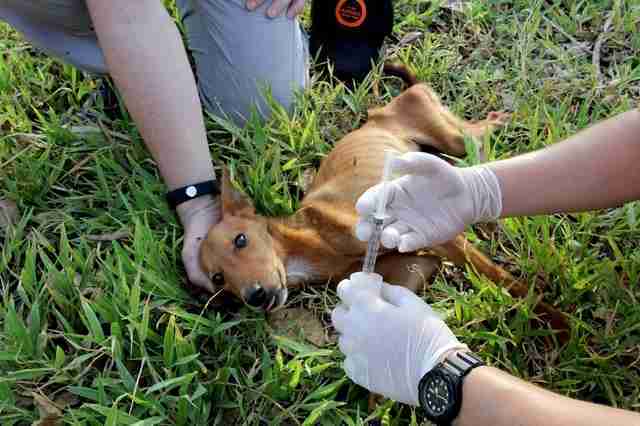 "She was emaciated, terribly dehydrated, having extreme trouble breathing and was unable to lift her head," said Dr. Naritsorn Pholpherm, the disaster operations veterinary officer for World Animal Protection. Although no one thought the puppy would survive the night, the veterinarians immediately administered fluids and gave the owner instructions on how to administer more. The next day, the team returned to check on the young female pup. "[It is] not exaggerating to say we saved her from certain death," Dr. Pholpherm said, noting that she still had a way to go before she would be healthy. Animals are often overlooked or forgotten in natural disasters like Cyclone Pam, which ripped through the archipelago in early March, leaving at least 13 people dead and thousands of people homeless. In rural communities, this means an array of animals - goats, pigs, cattle and chickens as well as dogs and cats - suffer tremendously from storms' relentless winds, rains and floods. There are some 638,000 farm animals in Vanuatu alone, says Carla Pisarro, media manager for World Animal Protection. She told The Dodo that animals struggle not just during storms but after as well. Besides the sometimes fruitless effort to find food and water, "animals are also suffering from exposure to sun at daytime and cool temperatures at nighttime due to lack of adequate shelter ... in addition, animals are showing signs of pneumonia and worms, which are expected to worsen without further intervention." 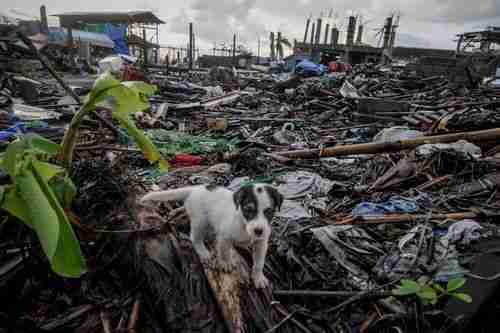 World Animal Protection has been providing disaster relief for decades and says it has helped more than 4 million animals in some 230 disasters since the 1960s, including a volcano eruption in Cabo Verde, Typhoon Hagupit in the Philippines and Cyclone Hudhud in India. The organization has built underground shelters for animals, helped design strategies for evacuation should a storm hit, assembled mobile veterinary units on bikes and motorcycles and, of course, provided deworming medicine, vaccinations and treatment of acute injuries. 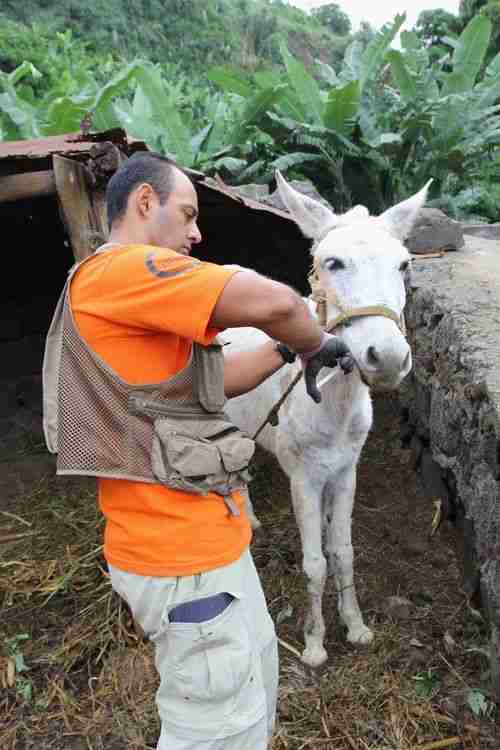 In the meantime, the group continues to evaluate the welfare of the many traumatized animals in Vanuatu. Pisarro says it also plans to check again on the condition of the little puppy it found on the side of the road.